Photos by Mike Moore | The Journal Gazette Rich Sarrazin has been manager of the Northside Recreation Center at Most Precious Blood since the 1970s. The alley has rare Brunswick automatic pinsetters. The church has had the bowling alley more than 80 years. 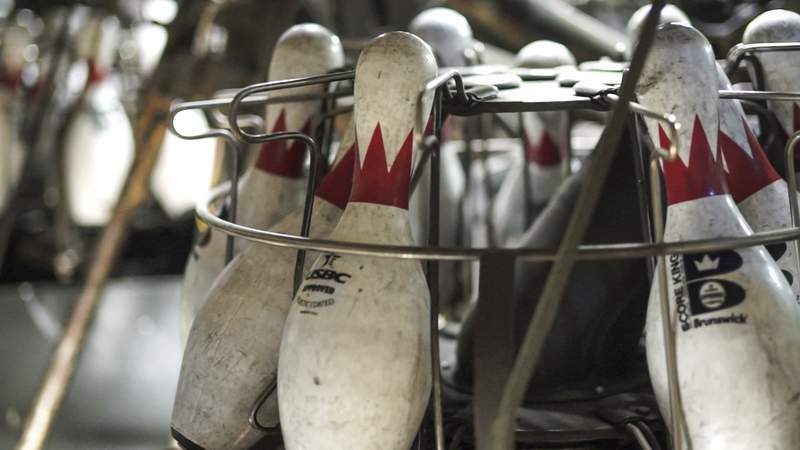 Church members acquired the bowling alley after a fire at a Huntington facility. 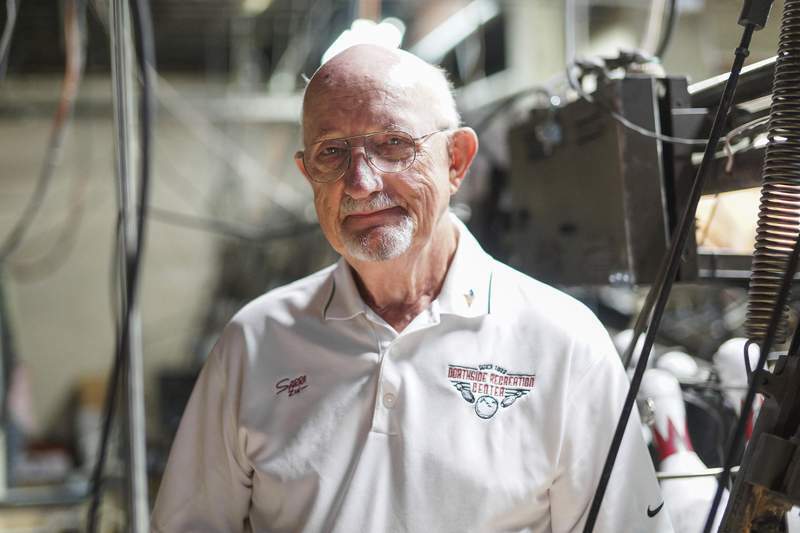 Rich Sarrazin is responsible for one of the best-kept secrets in Fort Wayne. It's nothing illegal or involving some kind of political scandal. But if you are looking for a good time in the city, he's the one to call. 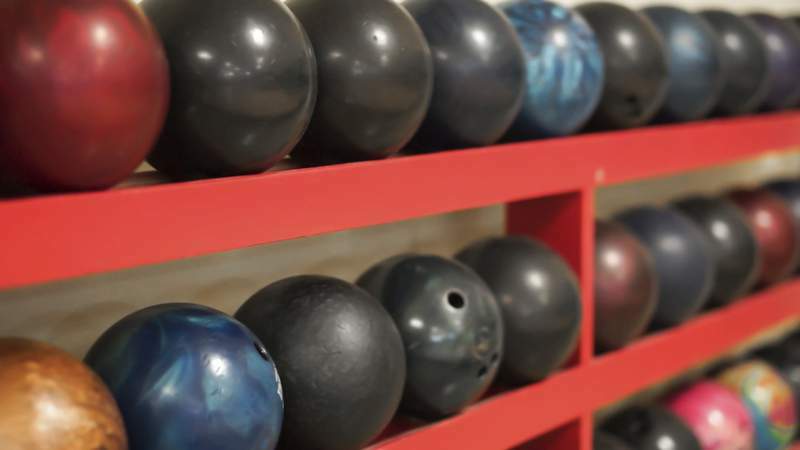 Sarrazin is in charge of the Northside Recreation Center, a six-lane bowling alley in the basement of the Most Precious Blood Church and School on Barthold Street. The 76-year-old has been involved with the center for 47 years, becoming its manager in the 1970s. It's been a part of the church for more than 80 years. Built in the 1930s, it was a way to help pay for the church that had been built in 1928, Sarrazin says. The basement of the church was vacant at the time and it was decided to install a bowling alley. Church members and others heard about a bowling alley that had burned in Huntington. They paid $2,000 for the alley (including two lanes that were not badly burned), along with three circular benches, pinsetters and 30 balls. Sarrazin says a hole had to be cut in the floor above so the items could be lowered into the basement. Lanes 3, 4, 5 and 6 were built. It didn't take long for the center to become a favorite recreation spot for many. There also is a bar that serves alcohol and snacks. The center rents out the church space and gives a portion of the profits to the church. 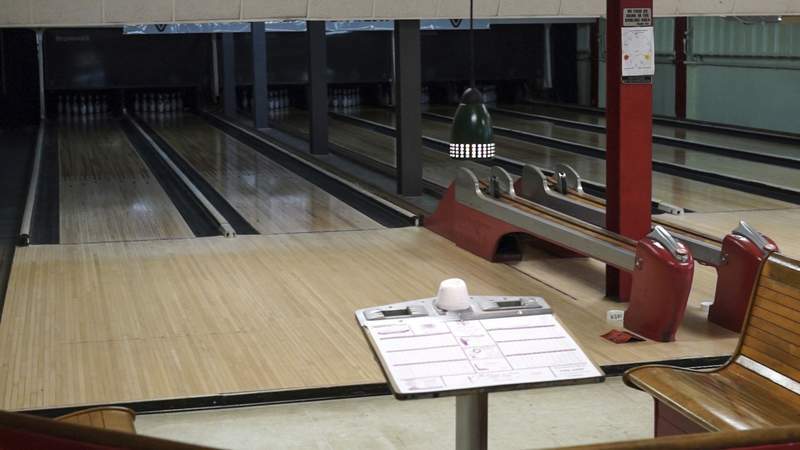 Another part of the center's history is its Brunswick automated pinsetters, bought in the 1970s when it became difficult to find people to set the pins up by hand. 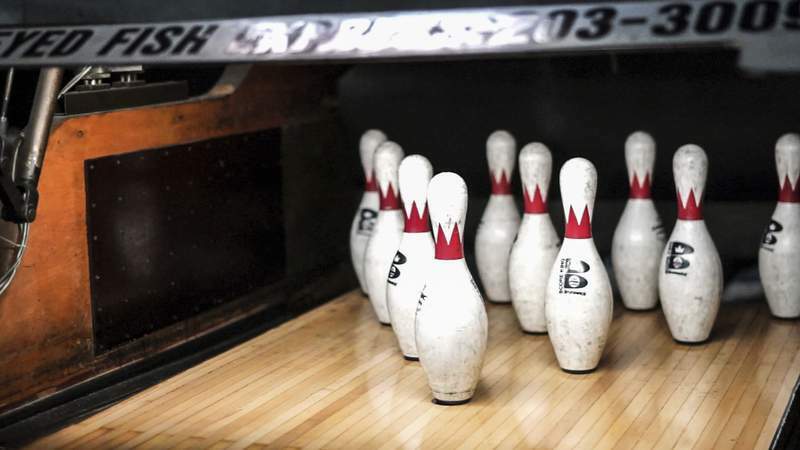 Brunswick no longer makes the pinsetters, which means the parts are hard to come by. Sarrazin has had to learn the mechanics of operating and repairing the machines. He says other bowling alley owners in Fort Wayne have helped him when he doesn't know how to do something. In the back of the bowling center is Sarrazin's workshop. “It looks like a mess, but I know where everything is,” he says. There are belts and tools on shelves and counters and bowling pins are scattered throughout. There are baby-food jars filled with screws and other items. Sewer piping used for bumper bowling lay stacked along the walls ready for use. Sarrazin has manged to keep the machines going all these years. He also has had help from volunteers. Without them, he says he wouldn't be able to operate the center. The center currently has four leagues that bowl throughout the week. Sarrazin and his wife, Linda, bowl every Friday. The couple have three children and six grandchildren, who have already been introduced to bowling. The center and the church are a large part of Sarrazin's life. He has attended Most Precious Blood all his life and even went to kindergarten at the school. He retired from Slater Steel after 28 years and was in the Army Reserves for six years. But bowling has always been a part of his life. He started bowling at the center as a teen. And of course he has had bowled several 300-score games – a perfect game in the sport. His name is on the wall, along with others, who have managed to bowl the coveted score. To say that Sarrazin spends a large amount of his time at the center is an easy guess. “I enjoy it immensely,” he says. But Sarrazin is just glad that others are getting to enjoy the center and it's history. The facility is available for rent and has seen many events, had senior and wedding photos taken there, and has even been used by Vera Bradley for a product shoot for the company. 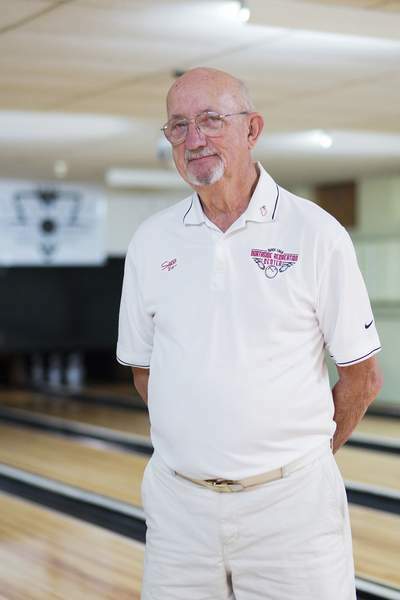 Sarrazin also uses it as a place of practice for the Bishop Dwenger bowling team, of which he is the coach. He has been doing that for 20 years. When he isn't bowling, Sarrazin does water color and oil paintings. He also is a member of the American Legion.